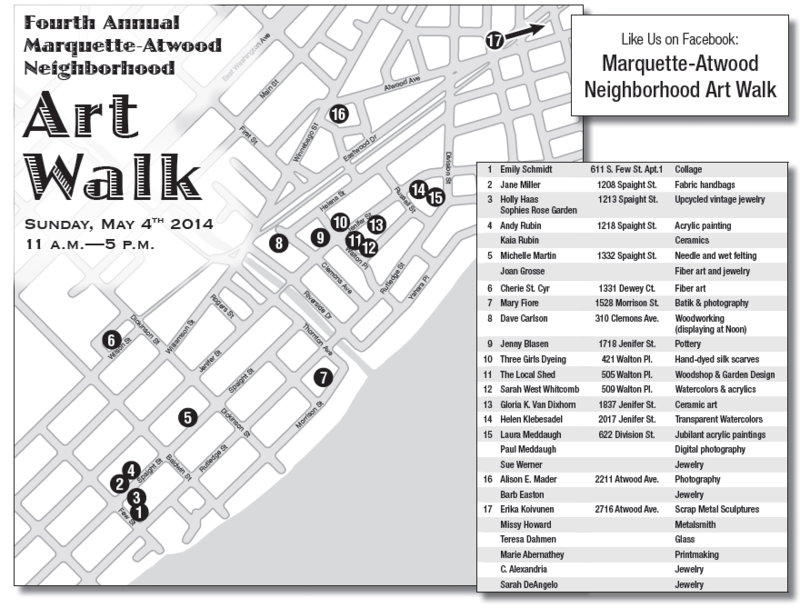 I’ll be showing and selling wood carvings for the Marquette-Atwood neighborhood art walk on Mary 4. It starts at 11 but I will not get going until noon. I’ll be participating in the art walk in my neighborhood. I have been workikng on a few projects that you can see below. I’ve also included a map.